Well, it’s been far too long since I’ve updated this site. I have a pretty good excuse. In order to avoid any competition between my Riyria books and this series, I had to get the third Royce and Hadrian book (The Death of Dulgath) out before the end of the year. Well, that task has been accomplished, and now it’s time to get back to work on this. So here goes. 5/28/2015 – New Naming – I’ll write a blog post on this soon. 6/11/2015 – Contract “officially” signed. 7/06/2015 – Preliminary work on cover design. 8/30/2015 – Cover Artist selected – I’ll write a blog pos on this also. 9/29/2015 – Jacket copy finalized – I’ll write a blog post on this. Need to re-read Book #1 from start to finish looking for opportunities to add the changes from Del Rey’s structural edits. Need to write three pieces of additional content. Hope to have book #2 ready for beta reading by the end of the year. As you can see, things have been moving forward even if I’ve not been posting. 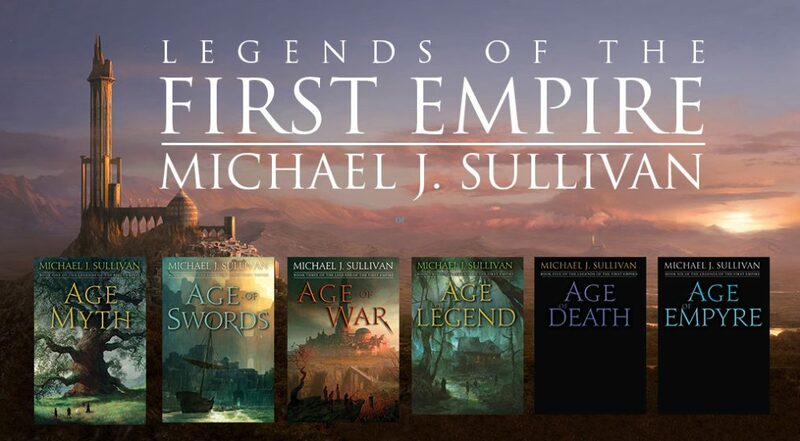 Now that I’m “off” The Death of Dulgath, I’m back “on” The First Empire and updates will come more frequently.